I’ve been spending time testing and modifying new recipes; probably the biggest change is now I’m cooking REAL food (aka NO MORE Purees) for my 9 1/2 month old. Needless to say, I’ve been busy! The recipes are coming, but for now I want to talk fitness. I’m just about to begin week 6 of P90x, and I’m very pleased with the results I’m seeing. I’m so pleased with beachbody products, I’m considering becoming a coach in the near future…we’ll see. So without further adieu…. The picture on the left was taken at a wedding 2 months after Nolan was born. I had lost 25 of the 65 pounds I had gained. I was displaying symptoms of hyperthyroidism at this point, but didn’t know what was wrong with me. It would be another 3 weeks before I was diagnosed. The picture on the right was taken last Saturday on a date night to the opera with my hubby; back at pre-pregnancy weight! I’m not one to toot my own horn, but I gotta say, I am darn proud of myself! I’ll never forget the endocrinologist telling me that I may not ever lose the pregnancy weight with Hashimoto’s. I could have just chose to “throw in the towel”, but I find what motivates me is someone telling me I “can’t” do something. I’m stubborn. I will do my darndest to prove someone wrong. I log everything; workouts, calories burned, food consumed. I love data. 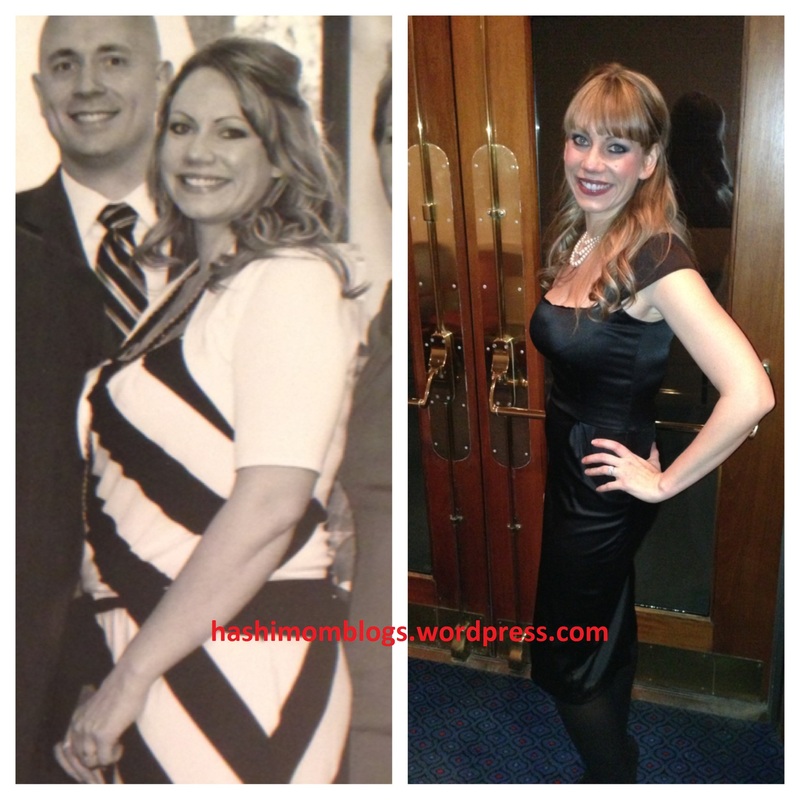 I decided to put a number to what it took to lose the weight with a thyroid disorder. It took 9 months, 190 hours of exercise (5-7 hours a week on average), and 289 miles of running (during the summer months). Oh yeah, and a unquanitified amount of dedication and support from my fitness motivational group, a few choice friends, and family members. It’s not always fun or easy, but it’s been worth it! This entry was posted in Blog, Fitness and tagged beachbody, fitness, hashimoto's, p90x, results, thyroid disorder. Bookmark the permalink.